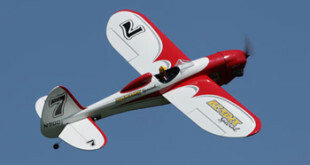 Whether you want a great looking race type model for sport flying, or you want to take on the challenges of pylon racing, the E-Flite Shoestring is a great way to go! 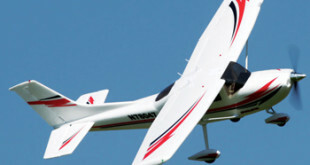 The looks and styling of the Shoestring is modern by anyone’s standards, and when you experience the solid handling of this model, you can’t help but to feel the adrenaline rush of flying a race plane. 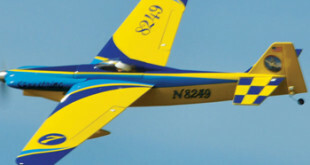 The TBM Bendix Special is one of the coolest looking sport planes I have seen in a long time. Its colorful trim scheme and unique, retro look of the 1930s gives it a lot of eye appeal. 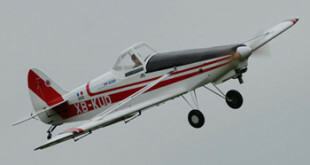 I was very pleased with this plane and was anxious to get it airborne as soon as it was assembled. I was not disappointed as it flew superbly without any bad tendencies. Two things I would suggest to improve the product would be the inclusion of a spinner and the addition of radio installation instructions. 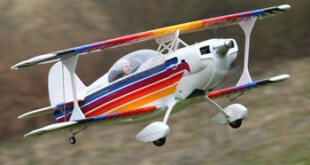 If you are into scale sport models, that are quick to assemble, then this is for you. It is loaded with scale details such as a simulated instrument panel, working lights, fully-functional scale landing gear, flaps with scale-looking hinges, and working wing tip, strobe, landing and top beacon lights. When I starting flying RC models in the late 70’s, you would be laughed off the field with a foam ARF airplane, but now with this kind of quality, and so much scale detail, it’s hard for me to justify spending hundreds of hours scratch building a model. This Cessna 182 looks great, can have you in the air in just a couple of hours, and is a really fun airplane to fly. The Christen Eagle from Hangar 9 is a great performer from start to finish. The assembly is very straight forward with little to no modifications needed and is a beautiful airplane both on the ground and in the air. It is small enough to fit in most vehicles fully assembled but does have a very easy wing removal system designed by Hangar 9 that cuts assembly at the field to minutes if necessary. 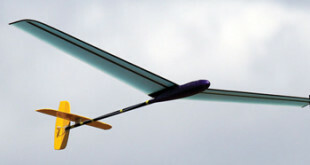 The Hobby Club Mini TopSky is a 1 meter (39 inches) discus launch glider. It features an immaculately constructed, completely bagged fiberglass wing with a blue foam core and top, bottom and leading edge carbon fiber spars, spiral wound tail boom and pre-molded equipment pod. It uses a small D/HLG glider specific Mark Drela designed AG03 airfoil throughout the length of the wing. 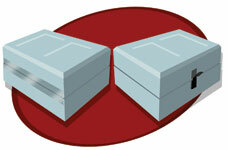 It also comes with a complete hardware set including correctly sized servos for installation into the equipment pod. 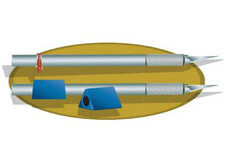 The tail sections and launch peg are also customizable to suit your needs and flying style. The model is suitable for all DLG situations in 0 to 10 MPH of wind and gives some great flying characteristics suitable for high and low lift situations. The World Models Piper Pawnee with its iconic canopy and top-side wing struts lets you bring a not so common model to your flying field. While I liked the way the many parts were packaged and identified, I found the high parts count to require more assembly time than the average ARF. Having said that, overall, I was pleased with the construction, quality of the materials used, finished look of the plane and I am perfectly happy with the way it flew. The Toughlon heat-shrink covering was wrinkle-free when I opened the box and has stayed that way ever since. I would have liked a top hatch for increased access to the internal equipment and ease of field assembly, but have decided that the few extra minutes needed for assembly at the field are a small price to pay once I saw this neat plane in the sky. 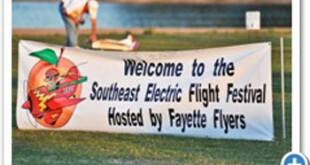 The Southeast Electric Flight Festival (SEFF)has become the premier electric RC event in the world. For many pilots it is the ‘must-attend’ event each year and this year was no different as over 400 pilots gathered at Mac Hodges field outside Americus, Georgia for a week of electric RC flying. SEFF is more than just a big fun-fly event; it is also a true social event where a person can have just as much fun behind the flight line as they do on it. When cutting out the sections of covering for the fitment of your servos, instead of cutting a rectangle shape to match the servo, cut a simple X instead and then slide the servo into the servo bay. 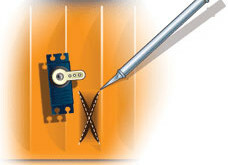 As you push the servo into the fuselage or wing, the fabric goes with it and gets pushed neatly inside with the back of the servo, leaving no nasty fabric edges where you have cut the rectangle area out.